When I received these bars and ate my first one I was not disappointed. They are absolutely delicious and two of the best things is that they are low in calories and they are GMO free! Not only did they send me 6 bars (1 of each flavor), but a pen and a cute bag. My fiance and daughters are HUGE fans of these awesome bars so they will definitely be a new addition to are family! I highly recommend Truebars to everyone, they seriously taste like heaven, if that's even possible, lol. Truebar is giving away a sleeve (12 bars) of the flavor of your choice to one of my lucky followers! 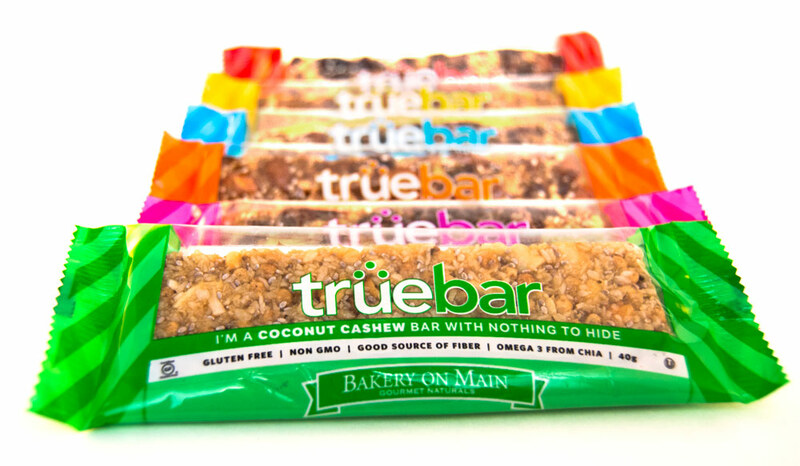 One (1) winner will receive: A sleeve (12 bars) of Truebars in the flavor of your choice. Ends 7.16.13. 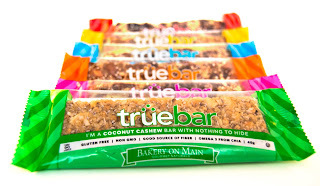 DISCLAIMER: All products received are complimentary for testing purposes from Truebar. All opinions stated are my own and are not influenced by any affiliates. Anything with coconut is on my list! Never heard of this product before, sounds good! Raspberry Chocolate Almond sounds really good! Thanks for the giveaway! I have never heard of these before but I will definitely be checking them out. Never heard of this brand before but it sounds amazing! Thanks for the fun contest! I'd love to try the Coconut Cashew, but realistically I would need to try the one with the least amount of sugar - sounds like there is no added sugar which would be awesome. I would definitely love to try the Coconut Cashew! Hazelnut Choc Cherry Sounds delightful!! yummy!! These look incredible! And no GMOs!! Yaya! These sound great! I have a hard time finding a bar that is good for you and actually tastes good. Definitely going to give them a try! Fruit and Nut sounds great!